We’re excited to announce that the growing collection of Piwik PRO premium features has been expanded to include integration with Google AdWords (presently in beta version)! Keep reading to learn more about how you can benefit from Piwik PRO AdWords analytics. What does AdWords integration mean to me? In a nutshell: AdWords Integration with the Piwik PRO analytics stack means you can generate rich and comprehensive reports that help you make sense of what’s going on with your AdWords campaigns. Why should I get pumped up about AdWords integration in Piwik PRO? What can I see in my AdWords reports? In addition, data can be exported for further processing into several formats (CSV, TSV, XML, Json, Php). The first step in getting in-depth AdWords analytics data is to use Piwik PRO custom segmentation for filtering the traffic entering your website through AdWords ads. Note: This example assumes you tag your AdWord ads URLs properly. In this case, the source is “google” and the medium is “cpc”. For more information on custom segmentation in Piwik PRO, take a look at our blog post here about Web analytics segmentation as a road to enlightenment. Use Piwik PRO goals tracking to get AdWords analytics data about the impact of various campaigns. Compare goal conversions by AdWords visitors compared to traffic from other sources and to the general traffic visiting your website. When setting dollar values for Piwik PRO goals converted by AdWords users, you learn exactly how much your AdWords visitors are worth to you. Of course, an even more complete picture comes from integrating Piwik PRO ecommerce analytics data generated by users tracked after clicking through AdWords. The key to evaluating the success of a campaign is understanding the quality of visitors it draws to your website. You can take advantage of all the standard Piwik PRO metrics applied to your AdWords analytics data. Details about bounce rate, time on site, click path, and many other pieces of the puzzle come into place with the power of Piwik PRO analytics data. AdWords integration takes you through the entire journey from clicking on the ad to converting on your landing page or in your e-commerce store. Piwik PRO also allows you to attach events, virtual page views, and custom dimensions to AdWords data for tracking more complex goals and conversions. Real time metrics can be segmented and reported on, and the visitor log (see the picture below) allows you to view user-level data. Piwik PRO AdWords Analytics: quick and easy integration! So are you ready to get started with AdWords analytics in Piwik PRO? 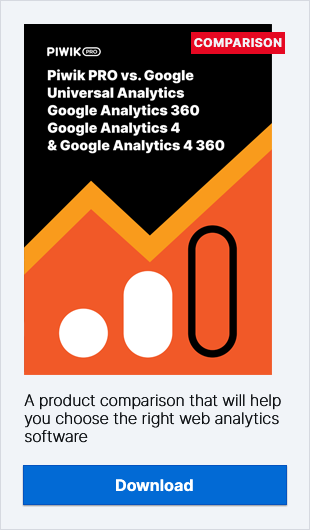 We’ve done our best to make it simple (and we reccomend that you also visit our AdWords Tracking User Guide). Now you’re ready to start managing campaigns! Mapping between AdWords campaigns and Piwik PRO campaigns is configured in the campaign management window. For each fetched AdWords campaign, you must specify a Piwik PRO site and campaign (using the same name as the campaign parameter tagged on the landing page). For example: if you have a campaign called MyAdWordsCampaign in AdWords which redirects to: http://example.org/index?utm_campaign=MyPiwikCampaign then in the configuration you will automatically have MyAdWordsCampaign fetched. You just need to specify a Piwik PRO Site ID and campaign for it (MyPiwikCampaign). Right now Piwik PRO AdWords analytics is still in beta version, but we’re working hard to get all the refinements competed. Keep an eye peeled for the final version rollout coming soon! What can you read from Piwik PRO E-commerce Analytics?